Paul Schrimpf is Executive Editor of Meister Media Worldwide’s AgriBusiness Group’s domestic brands. Paul heads up an editorial team covering the ag retail distribution channel under the CropLife® brand, and the ag technology sector through its PrecisionAg® brand. 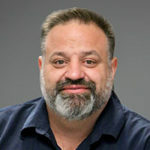 Paul joined Meister Media in 1998 and has been working as a professional journalist for more than 30 years. He graduated with a Bachelor of Arts in communication from Cleveland State University. Eric Sfiligoj currently serves as Editor for CropLife® and CropLife IRON® magazines and as Senior Editor for AgriBusiness Global™ magazine. He began working at Meister Media Worldwide in 2000. Eric is a graduate of Cleveland State University and started out working for a beverage trade magazine in 1987. Sfiligoj currently serves as a board member for the Mid America CropLife Association and was the recipient of the Ruth White Media Award in 2007. 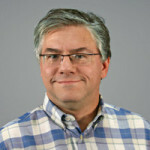 Matt Hopkins is Senior Online Editor for the Agribusiness Group, and works on the CropLife®, CropLife IRON®, AgriBusiness Global™, PrecisionAg Professional®, and Cotton Grower® brands. 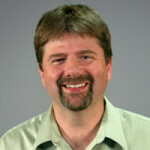 He is responsible for managing an array of online products, including e-newsletters, websites, video, and social media. Matt originally joined Meister Media Worldwide in 1994 as an editor for Greenhouse Grower® magazine before transitioning to Business Manager of its MeisterPro division. He has a communications degree from Cleveland State University. Matthew Grassi is Senior and Field Editor for the Agribusiness Group, which includes CropLife®, CropLife IRON®, and PrecisionAg® Professional. 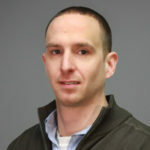 Matt originally joined Meister Media Worldwide in 2012 as assistant editor for CropLife magazine. He has a degree in journalism and promotional communications from Cleveland State University. 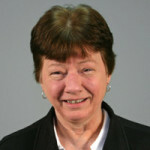 Jackie Pucci is Senior Writer for the AgriBusiness Group, including such brands as AgriBusiness GlobalTM, CropLife®, and PrecisionAg® magazines. She joined MMW in 2011 as Managing Editor for AgriBusiness Global (then Farm Chemicals International®). Jackie was a journalist at Reuters in New York City from 2000 to 2007, where she wrote about Wall Street. She has a journalism degree from Ohio University. Thomas Skernivitz quarterbacks the print production process of four magazines – CropLife®, CropLife IRON®, AgriBusiness Global®, and PrecisionAg® – while serving as the Managing Editor of the Agribusiness Group at MMW. 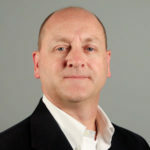 He has more than 30 years’ experience as a professional journalist and is a graduate of Bowling Green State University. 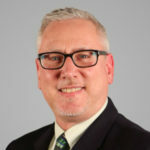 Eric Davis is the Managing Director of Meister Media Worldwide’s AgriBusiness Group and oversees the strategic direction of the CropLife®, AgriBusiness Global™, CropLife IRON®, and PrecisionAg® Professional brands. He joined Meister Media Worldwide in 1999 and has traveled extensively around the world, connecting with farmers, distributors, and manufacturers of crop inputs and technology. Eric received a Bachelor of Arts from Hiram College and a Master of Arts from Kent State University. 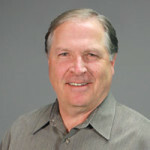 Tod McCloskey is the Publisher of Meister Media Worldwide’s CropLife®, CropLife IRON®, and PrecisionAg® Profressional brands. He joined Meister in 2018, and carries 15 years of B2B life science publishing experience, supporting print, digital, event and custom content platforms across more than 35 unique brands. Tod received a Bachelor of Education from Bowling Green State University, starting his career as a newspaper copy editor. Jack Lyttle is Senior Account Manager for the Agribusiness Group, including CropLife®, CropLife IRON®, and PrecisionAg® Professional. He assists his clients in strategically engaging ag retailers and crop advisors through print, digital, custom digital, and custom-content-driven communications. Jack originally joined Meister in 2012 as Account Manager for Greenhouse Grower® magazine before transitioning to the Agribusiness Group. He has a communications degree from Bowling Green State University and is a graduate of the publishing management program from Northwestern University. 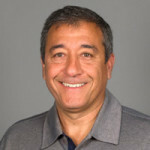 Sal Settecase is Senior Account Manager within Meister Media Worldwide’s Agribusiness Group, serving the following brands; CropLife®, CropLife IRON®, PrecisionAg® Professional, and Cotton Grower®. He is responsible for helping clients develop marketing plans that get their message to the right person at the right time. Sal has more than 30 years of marketing experience, with the last four at Meister Media Worldwide. He is a graduate of Ashland University. 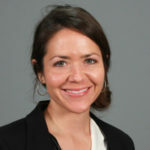 Amanda Champa is the Client Development Specialist at MMW, focused on Greenhouse Grower®, Greenhouse Grower® TECHNOLOGY, CropLife®, CropLife IRON® and PrecisionAg®. She is responsible for cultivating and developing relationships with existing and prospective clients. 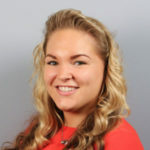 Amanda is a graduate from The Ohio State University with a bachelor’s degree in agricultural communications and joined MMW in May of 2018. 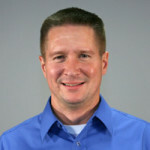 Scott McMurray is the National Accounts Manager across all of Meister Media’s crop brands. He has responsibilities for large accounts within row crop, diversified, and specialty crops, as well as the influencer market of retailers, distributors, consultants, and advisors. Scott has a Bachelor of Science degree from The Citadel and a master’s degree from NC State University. He joined MMW in 2017 with 10 years in agricultural marketing and 20 years of advertising experience. Sue Betteley has been with Meister Media Worldwide since 1989 and is currently the Business Coordinator for the AgriBusiness Group, serving the CropLife®, CropLife IRON®, AgriBusiness Global™, PrecisionAg®, and Cotton Grower® brands. She coordinates the PACE Program and the domestic portion of the ERA program. Sue attended Lakeland Community College and is on the Boards of the Lake County Salvation Army, Birthright Lake Inc., and the United Way Feed Lake County Executive Committee.